We had received a number of requests for the Docker Associate certification, and here we bring it! 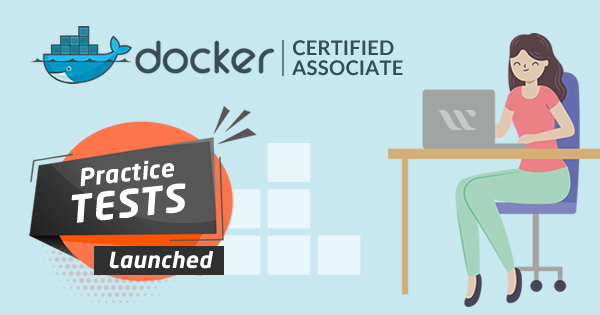 Yes, we at Whizlabs are happy to announce the launch of Docker Certified Associate practice tests. These practice tests are actually the mock exams, which give you the same environment as that of the real exam; thus help you prepare for the real exam. Wondering if you could try any free test before purchasing the Docker Certified Associate practice tests? Yes, you can; we offer Docker Certified Associate free test with 15 practice questions. While preparing for a certification exam, online courses and practice tests are considered to be valuable resources. 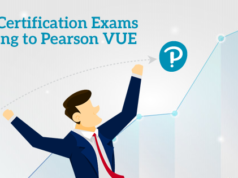 While the online course provides you training on the domains covered in the exam, practice tests help you check your preparation level for the exam. As Docker is one of the best DevOps tools, the candidates who want to build a career in DevOps are aspired to get certified in Docker. The Docker Certified Associate practice tests consist of 2 full-length practice exams with 55 practice questions in each test. Docker skills are highly demanding and sought after skills in today’s job market. If you are a DevOps practitioner, Docker certification can bring a difference in your level and make you stand out of the crowd. Docker Certified Associate (DCA) certification is a credential that validates and demonstrates the skills of Docker practitioner to use Docker, one of the best DevOps tools. Being a comprehensive multi-tiered professional certification program, Docker Certified Associate acts as a benchmark for Docker skills at foundational level throughout the container industry. If you are aspired to become a Docker Certified Associate, following the right preparation guide will help you go through the Docker Certified Associate exam. Although there is no prerequisite for the Docker Certified Associate exam, the candidate should have 6-12 months of experience of working with Docker. It means the candidate should be familiar with the various aspects of Docker to sit in this exam. If you are eligible to take the DCA exam, we at Whizlabs bring Docker Certified Associate practice tests for you to help you with your preparation. Have a quick look at what you will get inside the Docker Certified Associate practice tests. Whizlabs practice tests have been designed by industry experts and certified professionals. The mock exams are just like the real exams, so gives you an experience of the real exam and thus prepares you for the real exam. If you prepare with these Docker Certified Associate practice tests and score well in the tests, you will become confident enough to pass the DCA exam in the first attempt only. 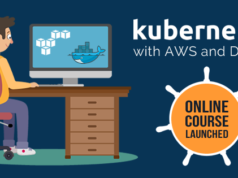 How will Whizlabs Docker Certified Associate Practice Tests Help You Pass the DCA Exam? Whizlabs Docker Certified Associate practice tests are focused on the various aspects of Docker that are covered in the exam. The DCA practice tests are the mock exams built to help the aspirants to prepare for the DCA certification exam and become a Docker Certified Associate. Whizlabs offers 15 free practice questions for the Docker Certified Associate exam that the candidate can try while preparing for the Docker Certified Associate exam and decide whether to take full-length Docker Certified Associate practice tests or not. Full-length DCA practice tests consist of 110 unique practice questions. It covers all the domains of the certification exam, you can take these practice tests again and again to check your preparation level. You will find an exhausted explanation to every question, not only for the correct answer but also for the incorrect options. It will clear all of your doubts one why a particular option is correct or incorrect. A complete test report is generated at the end of the exam, you can also find a domain-wise report to check your weak and strong areas. This report helps you to find your weak areas and work on them for the improvement. Whizlabs Docker Certified Associate practice tests come with 100% unconditional money back guarantee which proves that tests are good enough to pass the exam. Another important benefit of the Whizlabs Docker Certified Associate practice tests is that it comes with lifetime validity and unlimited access. So, you can take these tests as many times as you want until you become confident to pass the exam. So, check your preparation level now with Docker Certified Associate practice tests and get ready to pass the Docker Certified Associate exam. Try Whizlabs Docker Certified Associate Free Test now! So, Are You Ready for the Docker Certified Associate Exam? It’s an official announcement that Whizlabs Docker Certified Associate practice tests are live and available for all. If you are preparing for the DCA certification exam, these DCA practice tests will help you get ready for the exam. You don’t need to think much, as the Docker Certified Associate practice tests are completely exam-oriented. When you purchase the Docker Certified Associate practice tests, you also get 24/7 expert support. In case of any query, you can contact us at Whizlabs Helpdesk or simply write at support@whizlabs.com and one of our Docker experts will get back to you in no time to resolve your query. So, take DCA practice tests now and get ready to take the Docker Certified Associate exam. Want to know more about the Docker Certified Associate practice tests? Just participate in the ongoing discussion at Whizlabs Forum.